I love a good paneer tikka, and there are so many ways you can make this gorgeous starter. A paneer tikka recipe doesn't necessarily need to involve loads of cream and fat. And it doesn't have to be drowning in spice either. The most delicious paneer tikka recipes allow you taste the paneer and accentuate its flavour with just a few things from your spice rack. 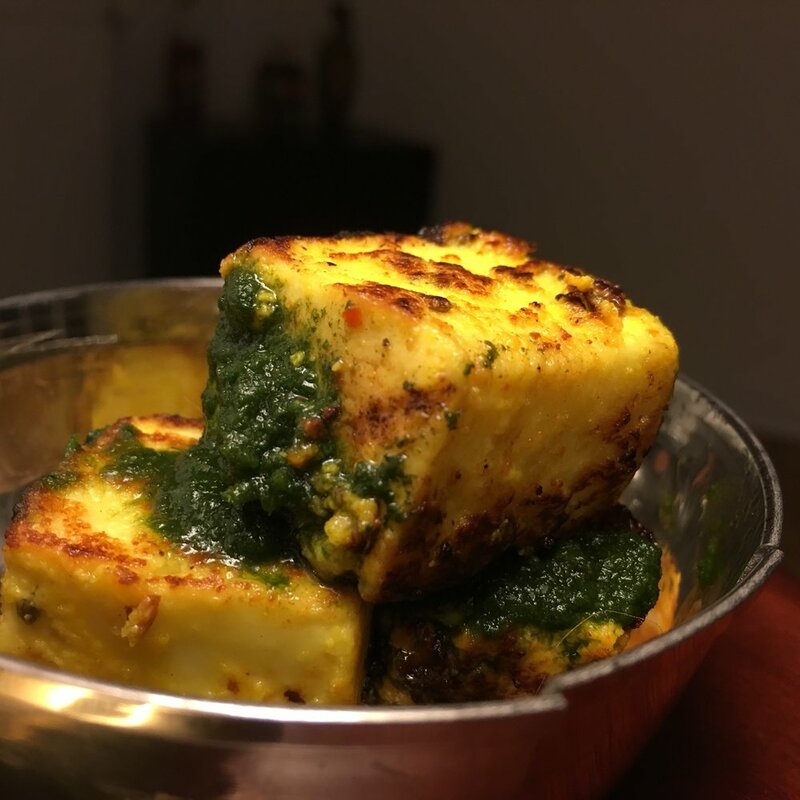 I shared my hariyali paneer tikka recipe a few weeks ago, and here is another one of my favourites. I use yogurt to marinate and just a touch of olive oil, to make this nice and healthy too. Tastes great with a coriander and mint chutney! Love your paneer tikka like I do? Check out my hariyali paneer tikka and BBQ paneer tikka recipes too!